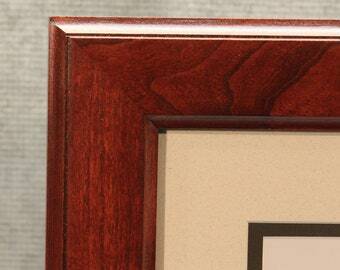 A double diploma frame made of cherry is twice as nice! 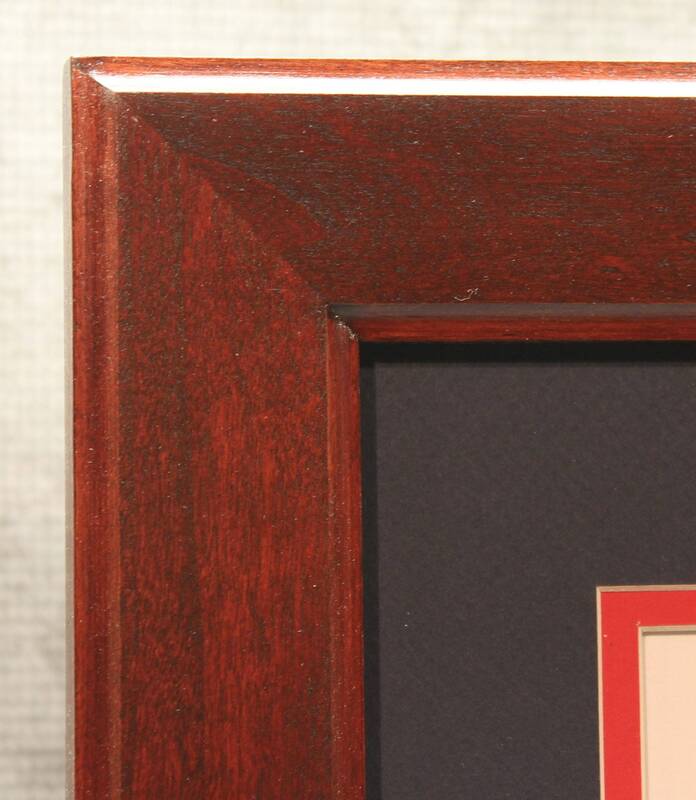 Proudly display both of your 8 1/2 x 11 diplomas in this traditional cherry frame and instantly improve the look of any home office or office decor. The look and "feel" of real cherry adds charm, warmth and confidence to the look of any setting. Your hard earned diplomas deserve to be showcased in something other than the typical mass produced frames so often seen in most offices. Mother Nature makes sure that every frame is truly one of a kind with wood grain, coloring and natural marks that are unique to every piece of lumber ever milled. Each frame I make, by hand, starts with one of those pieces of raw lumber. 10 individual steps later, a gorgeous diploma frame is born. All of my frames are glued and v-nailed together to make sure you're not facing split corners a year or two down the road. Includes: True-Vue Conservation Clear UV Glass, double mat, hanging hardware and 14 day return for full refund. The frame looked beautiful in the pics online and was even better in person! The artisan quickly answered my questions and flawlessly met my specifications. Very quick shipping! Came with all necessary hanging hardware which was fantastic. I cannot wait to hang it in my office at work. Definitely would consider purchasing frames from this artisan in the future.